This stunning debut captures the grotesque madness of a mystical under-land, as well as a girl’s pangs of first love and independence. Alyssa Gardner hears the whispers of bugs and flowers—precisely the affliction that landed her mother in a mental hospital years before. This family curse stretches back to her ancestor Alice Liddell, the real-life inspiration for Lewis Carroll’s Alice’s Adventures in Wonderland. Alyssa might be crazy, but she manages to keep it together. For now. When her mother’s mental health takes a turn for the worse, Alyssa learns that what she thought was fiction is based in terrifying reality. The real Wonderland is a place far darker and more twisted than Lewis Carroll ever let on. There, Alyssa must pass a series of tests, including draining an ocean of Alice’s tears, waking the slumbering tea party, and subduing a vicious bandersnatch, to fix Alice’s mistakes and save her family. That’s right. To be honest, I was extremely skeptical of this book when I first read the synopsis due to the dark description of Wonderland and how much I’ve loved the original two books with all my heart. However, I finally gave in to my curiosity (tee hee) and immediately fell in love. Not only is Howard’s prose indicative of serious writing prowess, but the word choice and diction is perfect to fit such a magical story and the brilliantly written characters. Oh, and the plot? Genius. Not only does it involve a fair amount of specific details from Carroll’s original story, but they are distorted just enough to fit with the theme and the idea that a little girl could have gotten some of the details incorrect (fitting with the idea that Alice shared her experience with Carroll upon her return from Wonderland). 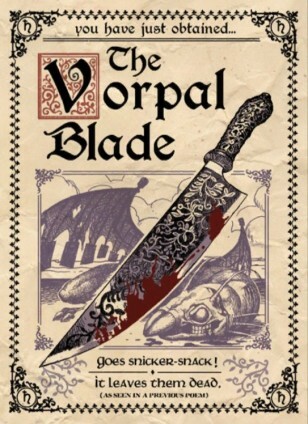 Overall, I think that Howard has provided readers with a unique outlook on a classic story, a creative plot with room for expansion and additional tales (oh, I mean there WILL be another installment: titled Unhinged), and characters so believable and relatable that you will be so invested in their stories. Don’t forget that there is a love story. 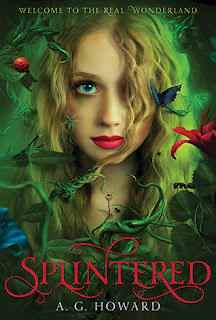 So please, for me, for yourself, and for the love of Alice, go pick up a copy of Splintered by A.G. Howard. I don’t want to say too much else, or summarize too much because I’d much rather you read it and then gush about it to your friends as well. 5 Bards for ingenuity, prose, entertainment value, and sheer awesomeness. Now go pick up a copy!